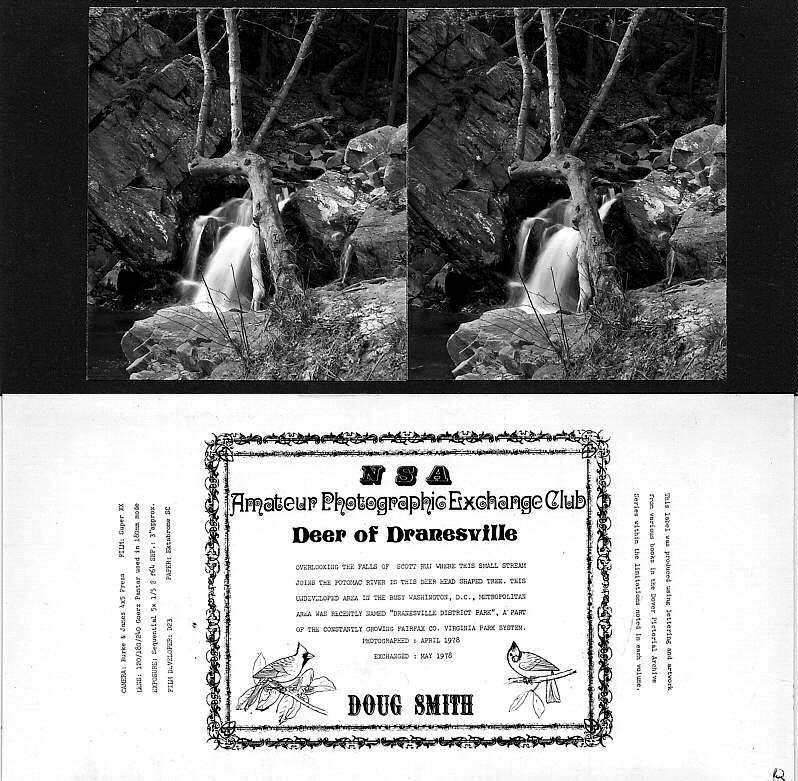 Recently I was able to communicate with Doug Smith via e-mail. 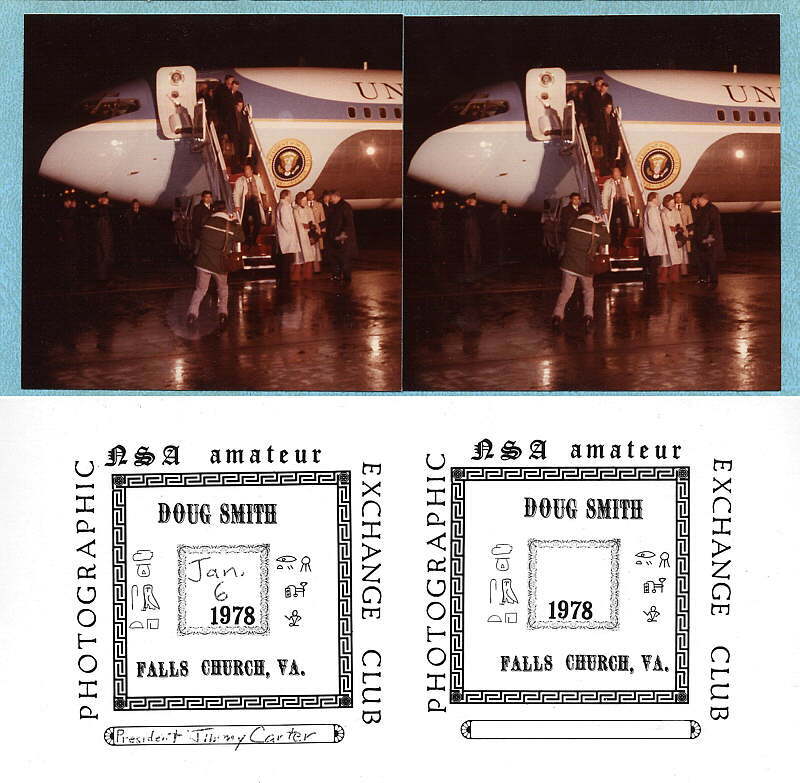 Doug was a participant of several APEC II exchanges. 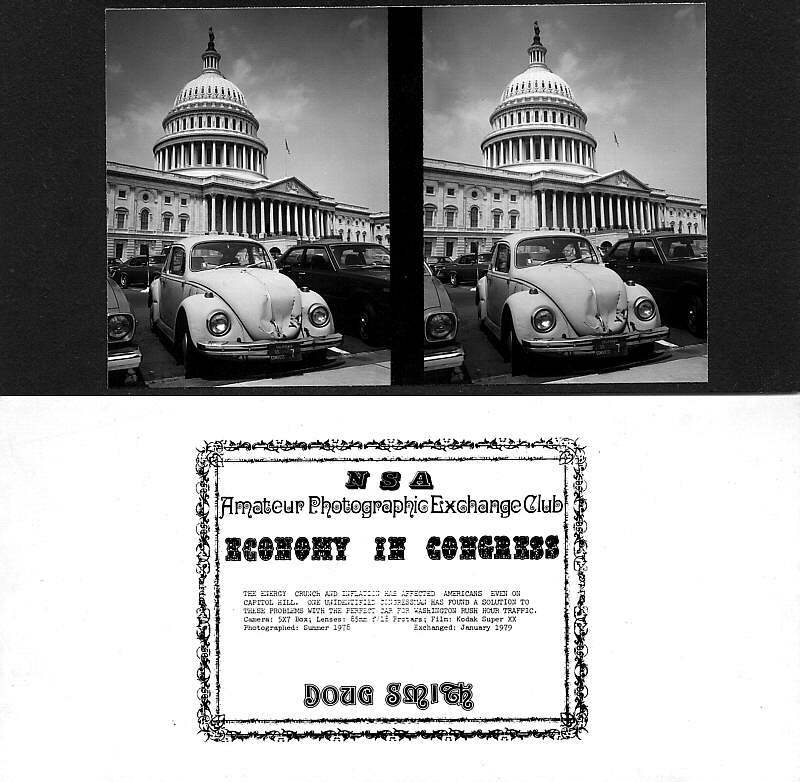 He sent me 5 images of his exchanged stereoviews and said: "3 of the 5 were B&W taken with my home made stereo camera 'Walnut' on 5x7 cut film. The other two were Realists. I am ashamed of the Jimmy Carter view but I'm not sure how many stereos of him there are. I also am sending the reverse labels as exchanged." Thanks for sharing Doug! Eventually, we will have more APEC II stereoviews here as well.